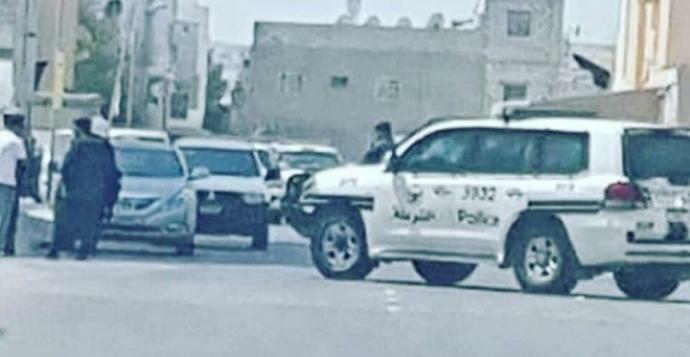 In continuation of its crimes of sectarian terrorism, the corrupt al-Khalifa entity continues its war on religious freedom and its attacks on Ashura manifestations by various means in the cities and towns of Bahrain. Under flimsy pretexts, it required to review the banners and media panels before hanging them in some areas, while not repeating any political speeches outside the religious rites and its contents. Meanwhile, the mercenary’s gangs of Yazid of the era (Hamad Bin Essa) had stormed Bilad al-Qadeem (the old town) on Tuesday, September 11, 2018 and attacked the banners of Hussein and manifestations of Ahura. The prison administrations are also banning prisoners of conscience and detainees from commemorating this anniversary .